One-on-one business coaching designed for service professionals ready to scale to 6-figures+. You want to serve more people and make a greater impact. You know your marketing and sales activities aren’t delivering the results you’re capable of, or you’ve hit a plateau in your business and you need help taking it to the next level of growth. One-on-one executive coaching for established service-based CEOs, business owners, and Entrepreneurs ready to scale and leverage to multiple 7-figures. You want to get out of the day-to-day operations of running your business, so you can focus on increasing productivity, profitability and impact. As a business growth + marketing expert, I live to empower service professionals to authentically market and strategically grow their business with purpose and confidence. With a relentless passion for helping men and women be seen and heard, I navigate mission-driven entrepreneurs and business owners to achieve game-changing success, while building a business aligned to who they are. Over the past 17 years I've worked with hundreds of fast-growing entrepreneurially minded companies from start-up to $20M+ (including one of Canada's fastest growing companies named by Profit Magazine); get focused on the marketing and business development activities that will impact their bottom line and generate results. 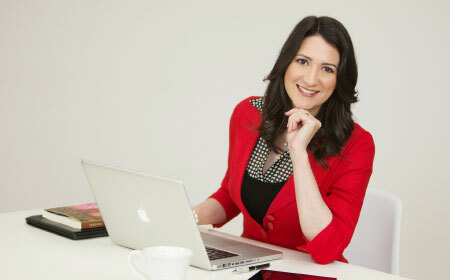 Michela brings a gentler approach to sales and business development. I’m closing about 85% of my inquiries (up from 40%-50%) because I’m clear about what I have to offer and I have a script to keep me in charge of the conversation. My biggest issue was getting my multiple services clear and organized, both verbally and on the ‘net. Michela was very patient, insightful and helpful in fine-tuning my services and sales flow with me. When I reached out to Michela, I needed help creating procedures especially for my new packages and my sales process. As a result of working with her I am now able to better articulate what I do from my elevator speech to more involved conversations with prospective clients and affiliates. She spurred me into action, which gave me much needed momentum. Without working with Michela this would have taken me too long to do on my own, or I would have put this off and probably not have done it. I feel like she has my back, that I’m not in this all alone. Michela is very professional and someone that is a part of my trusted team of advisors. She’s an expert in evaluating what and where your business is right now and identifying what you need to reach your goals. She brings focus and purpose to all of the ideas in my head. Whenever I feel overwhelmed and my business is taking me in many different directions, she helps to re-focus my thoughts and gets me back on track. With Michela's help, my business has grown in revenues and is better positioned for any challenge that lies ahead. 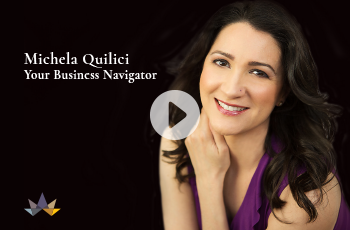 Working with Michela helped me build a road map for my business so that I could connect the different aspects of what I was doing into a more cohesive path. Along the way, my business and my confidence grew. After 4 months, I now have a clear approach and successful business strategy. I couldn’t have done any of this without Michela’s help.